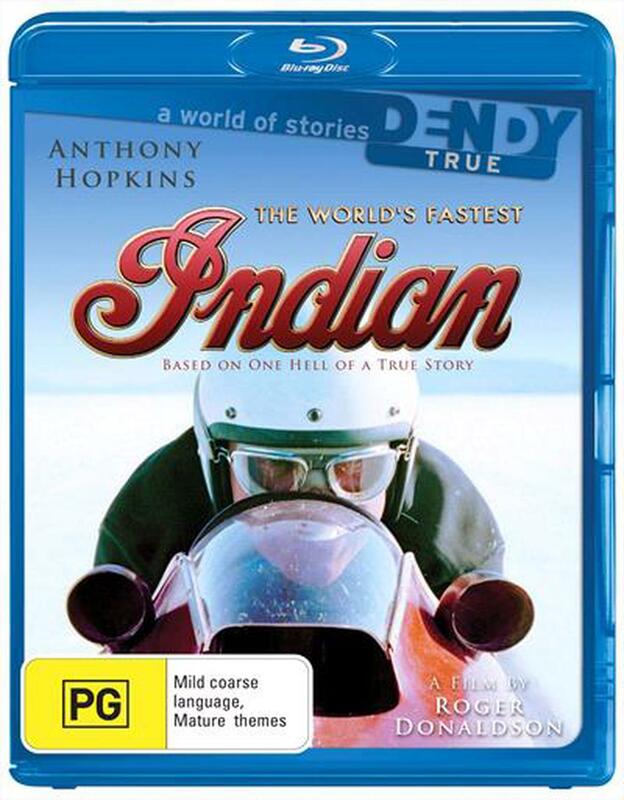 Anthony Hopkins stars as Burt Munro, a man whose story continues to amaze and inspire today. In the late 1960's Burt set off from New Zealand, to clock his bike at the Bonneville Salt Flats in Utah. A 68 year old man with a bad heart and shoestring budget. A 47 year old bike with makeshift tires, no brakes and no chute. The odds were well and truly stacked against Burt. Yet with his irrepressible charm and indomitable spirit he sets a land speed record that has never been bested.